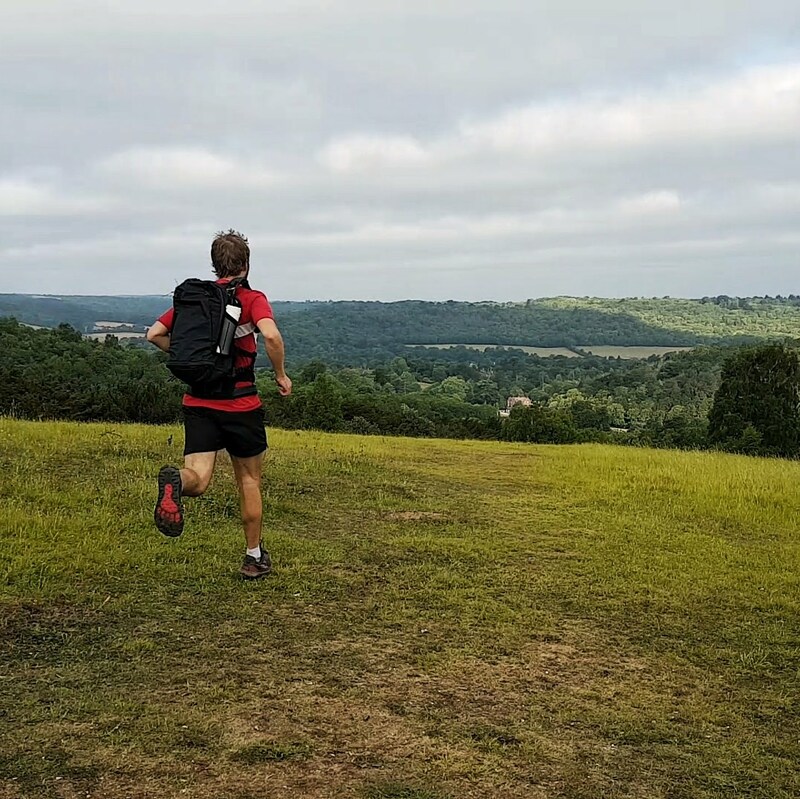 A few weeks ago I was lucky enough to get my hands on a prototype MotionLab bag for test and review, and to have a chat with founder Rob Moncreiff about his ideas and plans for the running backpack of the future. His pitch was a curious one: a bag that boldly claims to remove all weight from the shoulders and distribute it more evenly around the upper body. Some questions sprang to mind – how heavy will the bag itself be? Where will the bulk of the weight end up? And would it be any good for long distance trail running? Rob was very keen to show me the new bag’s features and tell me about its unique design, which aims it squarely at the urban commuter market. There is space for a change of clothes; a separate water-resistant shoe compartment; an area for keeping documents flat; and the pièce de résistance, a laptop sheath. To say you can run to work while carrying your bulky laptop – without damage to body or computer – is a bold claim, and as Rob explained how the flexible spine and hip-belt system — combined with a harness that centres over your sternum — removes all weight off the shoulders and helps the bag to almost ‘float’ along with you, it became clear that a lot of R&D had gone into this product. 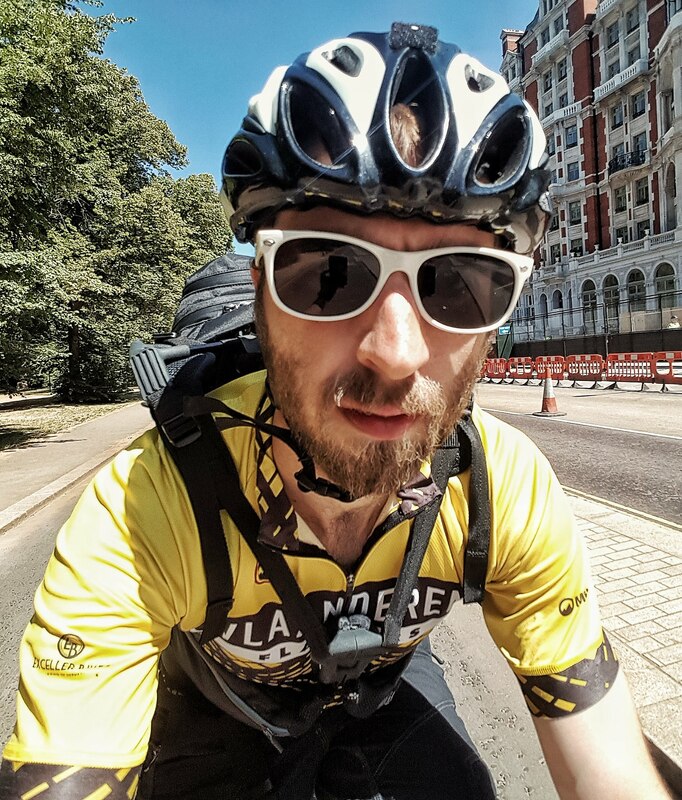 After a quick fitting session (the harness spine can be adjusted up and down so that it sits flush just above your hip bones), I was packed off on my ten mile cycle commute back home. It was an extremely strange sensation to have the shoulder straps of your bag hovering an inch above your body, but the whole system felt solid and well-built. 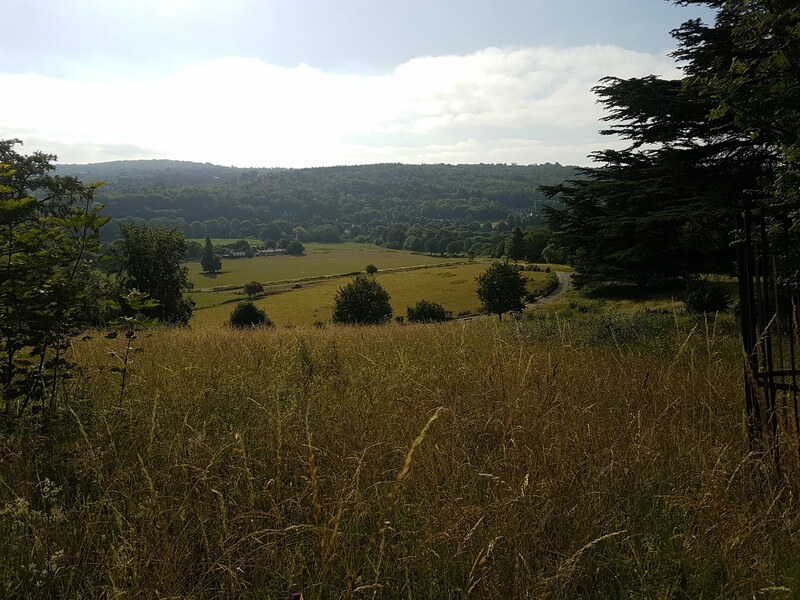 I was set for a run the North Downs over the weekend and looked forward to really putting the product through its paces. Now, I’m not much of a road runner these days (and anyway can rarely run to work as my pesky French Horn must always be with me) but I was very interested to discover if such a revolutionary rethink of a simple product might benefit the trail and ultramarathon community. So, despite the glorious weather, I packed all you’d need for most British fell races or ultras — full body waterproofs, water, hat and gloves, compass, and the like — and filled the two easy-access front pockets with my phone and some nutrition. Straight away I felt the positive effect the bag’s design had on my body position. When we met, Rob told me he had been working with a team of physios, coaches and Team GB 800m runner Revée Walcott-Nolan to eradicate the inevitable rolling forward of the shoulders and loss of form when wearing a traditional pack. And it works: the lack of weight on my shoulders allowed me to continue running with a strong, upright form. The first couple of miles were a gentle downhill and I jogged along in complete comfort. Being in the North Downs, I soon found myself on a big climb. Here the extra weight of the bag was of course noticeable compared to my current Inov8 All Terrain Pro Vest, and on the steepest parts (where running was not possible) it felt a little like the wide hip belt was fighting against the natural forward pivot that hands-on-hips power hiking requires. Of course, lung-busting 25% gradient climbs up the side of Box Hill aren’t really this bag’s natural habitat, so I won’t dwell on this. After a couple of hours messing around in the hills over all kinds of terrain, I arrived back at the car with a good sense of the bag’s strengths and weaknesses. My upper body still felt fresh despite the extra weight, with only a small pressure point on my sternum – certainly no more significant than that which you’d feel on your shoulders with even the best backpack after two hours on hilly trails. I’d had a very enjoyable run and it had been a very interesting experience trying out the product. So how do I feel about the bag? It will be a game-changer for the typical urban run commuter, which is of course its primary market. The well thought-through design with its laptop carrying system promises to create the possibility for running not only as exercise, but also as transport for those not lucky enough to be able to leave their work at the office. I think it has the potential to be a fantastic asset in the hills after a super lightweight, trail-specific redesign, which I’m told is in the pipeline. I look forward to that very much. MotionLab’s Kickstarter campaign launches on 24th July 2018 and you can find out more information about the product, the science, and the company at http://motionlab-bags.com.